Every October, PRSSA holds a national conference. 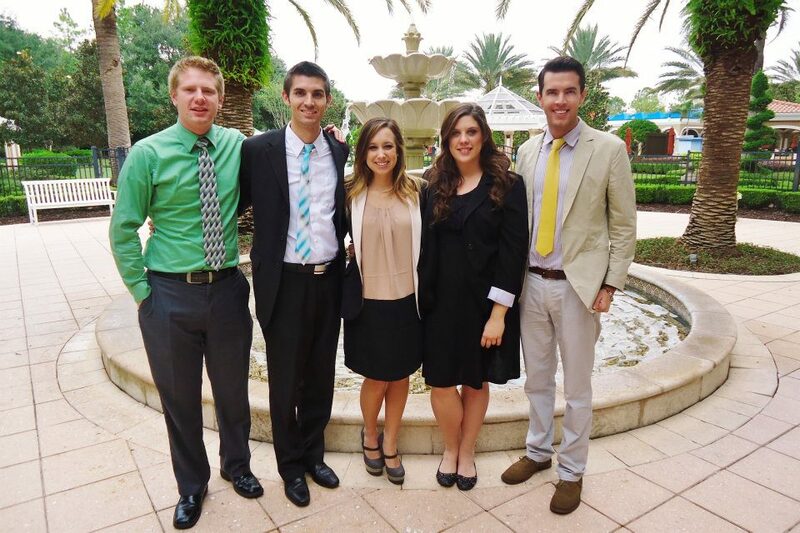 This year, the conference was hosted by the University of Florida chapter. They beautifully organized the venue and speakers. All those in attendance would be hard pressed to leave the conference and take nothing of value back with them. Here is our chapter’s executive board poolside at the lovely Renaissance at Sea World in Orlando, where the PRSSA National Conference was held. Chapter Development Sessions – National Conference started off with some great chapter developments sessions. This is where chapters could go and learn best practices from other chapters who are excelling in an specific area. Opening Session Keynote with Craig Dezner – Craig Dezern, vice president of global public relations for Disney Destinations, presented the keynote address at the National Conference. Media Training Session – Dr. Joseph V. Trahan, III, APR, enlightened attendees with the “Three C’s of Media Relations” and media interview techniques, the most relevant and basic tips for young professionals.There was also another session where Rick Leventhal, senior correspondent with Fox News, discussed communicating with media contacts. This entry was posted in PRSSA and tagged Conference, National, PRSA, PRSSA, public relations, student by Sean Reay. Bookmark the permalink.